Well, summer is winding down and it's gone way too fast. Ok, technically we still have about a month to go, but the kids are heading back to school and it's back to the same old routines. I love that during the summer each day is a blank slate and anything is possible. And that was the theme of this summer's concert series sponsored by the Illinois Lottery - the "Anything's Possible" Music Series. 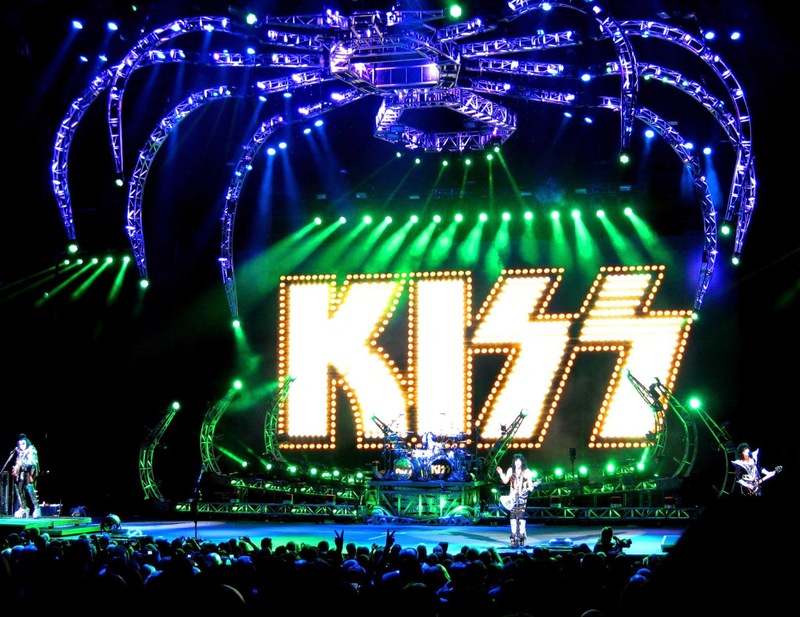 I was happy to make it to several concerts this summer, the most recent being the Def Leppard and KISS show at Midwest Bank Amphitheater. 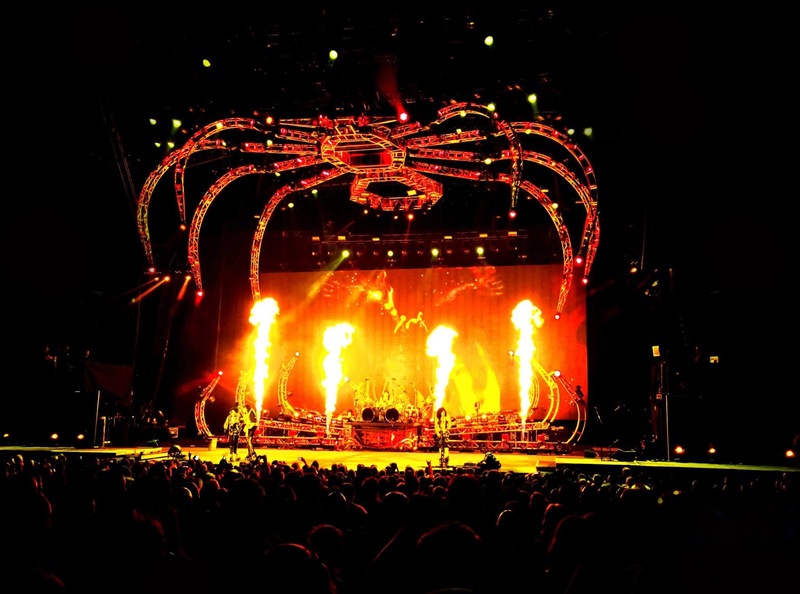 My son is a big KISS fan and being a kid of the 80's, I had every song on my Pyromania cassette memorized when I was in 6th grade. 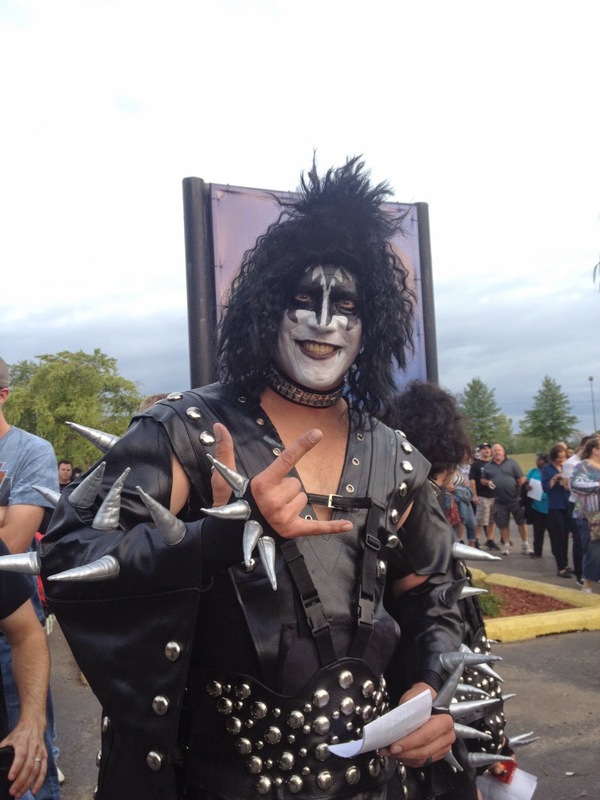 First thing I learned was that KISS fans don't mess around. This was just one of many fans dressed in full garb. We got settled in to our area before the show. My 20-year-old son was happy to be there, but not that trilled about posing for a pic with mom. I did manage to get a smile out of him for a Gene Simmons-esque pose and proclaimed myself a "really cool mom." I told him he should consider himself lucky. The coolest thing my mom ever did when it came to music was dance the twist in the living room to a Backstreet Boys song. One thing about Def Leppard that I find so inspiring is the story of their drummer, Rick Allen, who lost his left arm in a car accident. How many people could go through that and still continue their career. 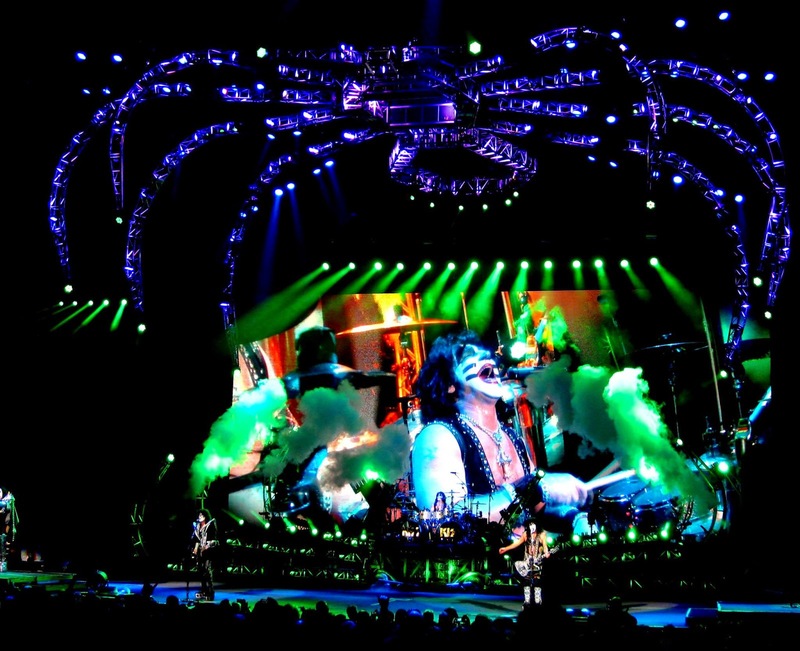 He continues to tour with the band and does some of the drumming with his feet. 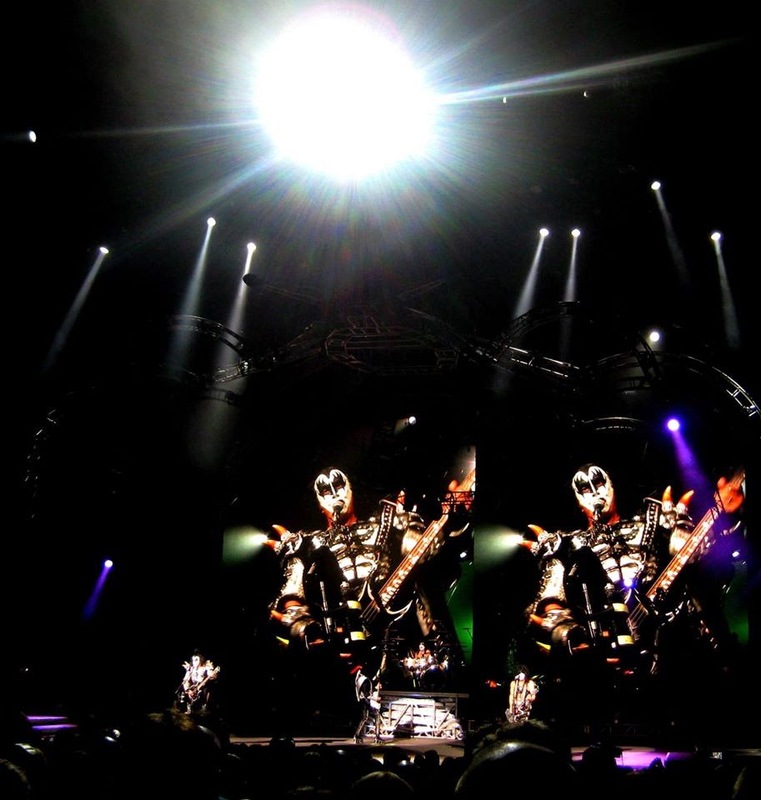 This was my first experience at a KISS concert and it is definitely quite a show. My pictures with my phone (like the one above) were pretty terrible and I saw that a Facebook friend that I went to grade school and high school with had been there and gotten much better photos than me, so I asked him if I could post them. His photos are posted below. Aren't they awesome? Thanks, Jason Lucas! And one last shot from me - of the finale. 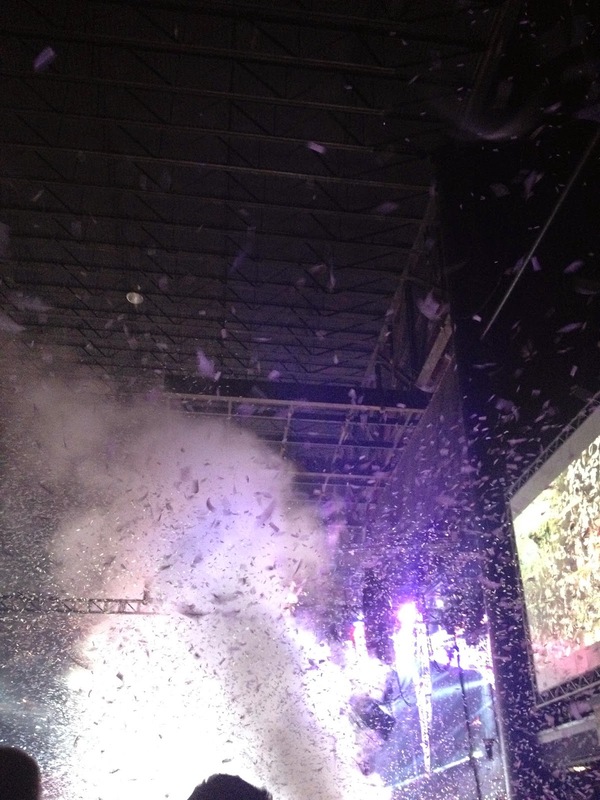 I have never seen so much confetti! Was a pretty cool ending, but I couldn't help but think about the poor guys who had to sweep it all up! You can pick up Anything's Possible scratch off tickets where Illinois lottery tickets are sold and you can win up to $1,000. 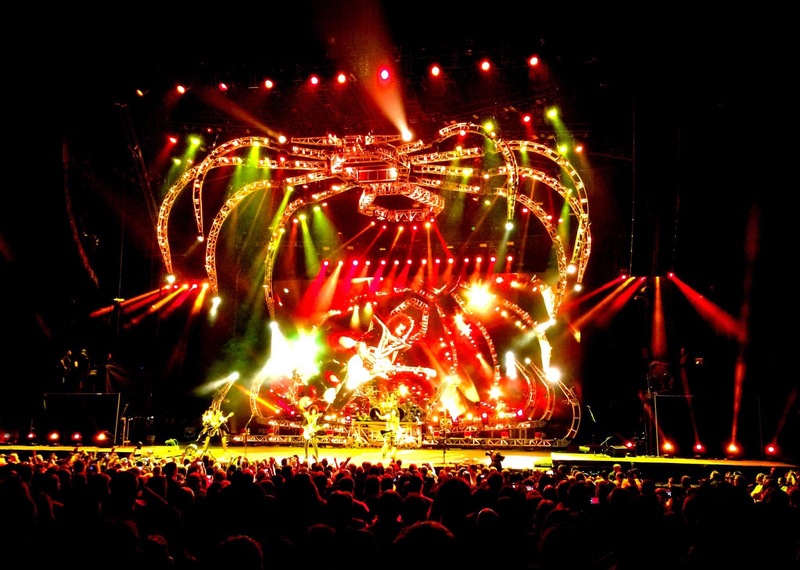 Tickets are also available at some of the upcoming concerts. 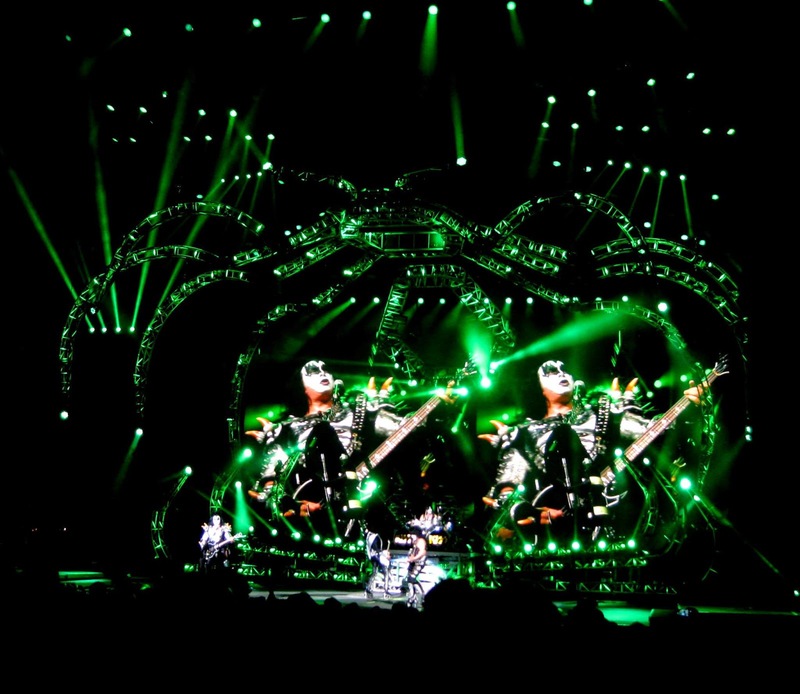 Click here for a list of the remaining concerts in the series. ***Tickets to the concert were provided by the Illinois Lottery. I was not compensated for this post. All opinions are my own. Sometimes it's funny how parenting works. These kids are in front of you every day. You see them so much that their growth happens right before your eyes, yet you don't see it. I can visit with a niece or nephew I haven't seen in months and their growth is immediately apparent. But somehow, when it's right there in front of you it just slips by. And now that my youngest is 9, I am in that stage where he's still little, but he wants to be grown up. He's got so far to go to catch up to his brothers, but he wants to get there. Really, he's still a little boy, but he is moving into the pre-teen category. He's in-between. And when you're a kid, who wants to be there? Today was one of those days I looked at him and something just struck me. It was one of those moments that make a mom misty as she just freezes for a moment and takes in the wonder of that child. As hard as he wants to be a big guy, he is still little. A funny, goofy, little care-free boy. I was driving him to his last day of summer cub scout camp this morning. I made a quick trip through the Dunkin' Doughnuts drive through for breakfast on the way. We stopped at a traffic light. I looked over at him with his little hat on and the sunglasses that he thinks make him look tough propped up on the hat. His face was covered in crumbs from his Oreo filled doughnut. He had a backpack next to him that was as big as him. He's trying so hard to be big, but he's still little. But he won't be for long. And I'm glad I took notice today. 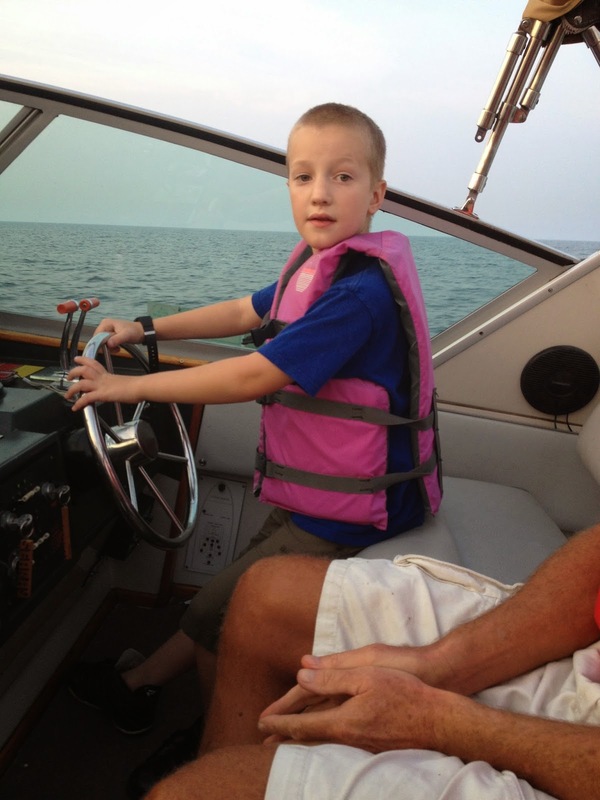 Always trying to be big - playing "co-captain" on his Uncle Phil's boat.